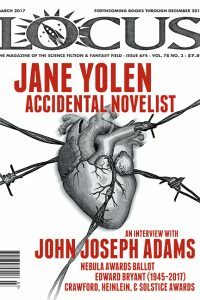 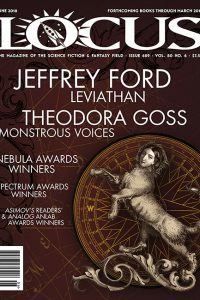 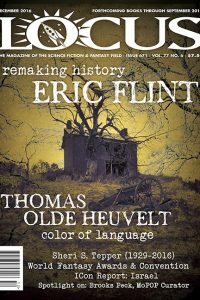 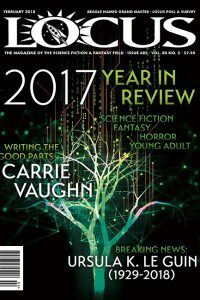 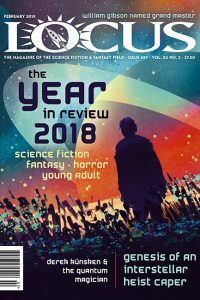 The January issue features interviews with John Crowley and JY Yang, a column by Cory Doctorow, a report on SF in Ukraine, photos from the Locus Holiday Party, Best of 2017 lists from Amazon, Audible, Goodreads, and PW, and reviews of short fiction and books by Henry Wessells, Victor LaValle, Maggie Stiefvater, Maggie Shen King, and many others. 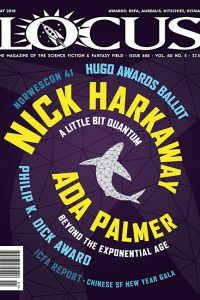 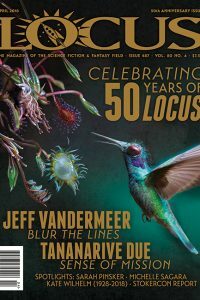 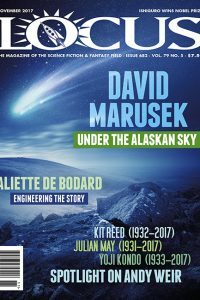 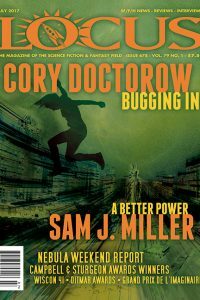 The November issue features interviews with David Marusek and Aliette de Bodard, a column by Cory Doctorow, an obituary and appreciations of Kit Reed, Julian May, and Yoji Kondo, a report from Hawaiicon, and reviews of short fiction and books by Victor LaValle, Jane Yolen, Tim Pratt, Sarah Gailey, and many others. 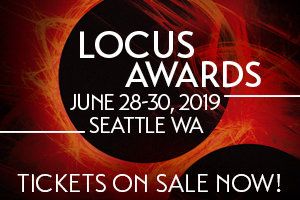 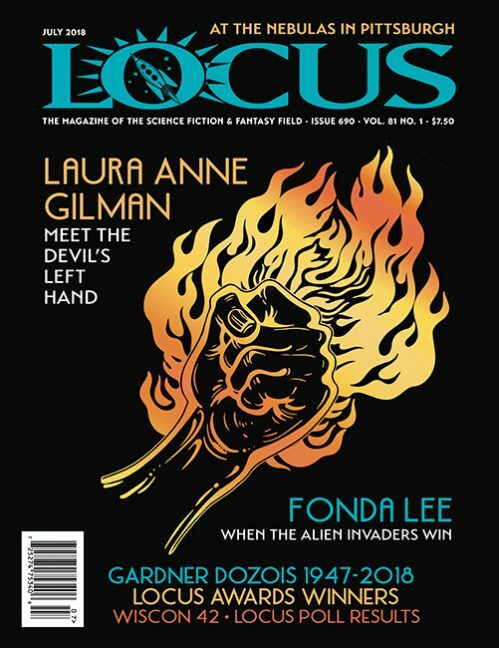 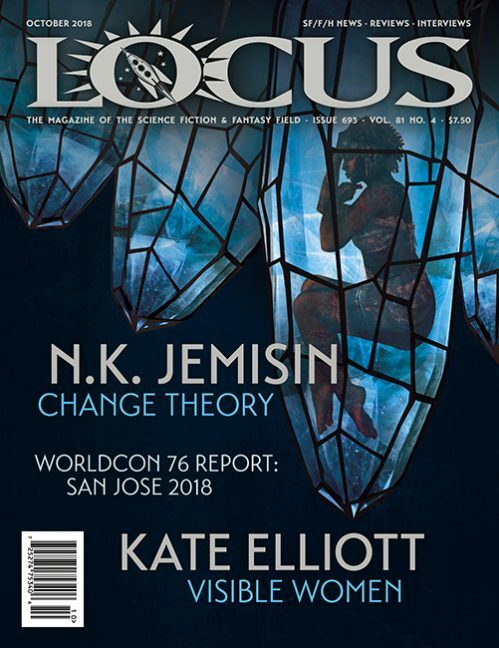 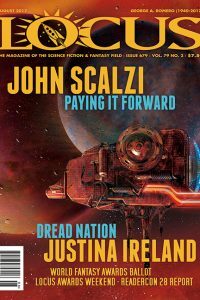 The August issue features interviews with John Scalzi and Justina Ireland, a column by Kameron Hurley, results of this year’s Locus Survey, photos from the Locus Awards Weekend and Readercon, and reviews of short fiction and books by Michael Poore, Callie Bates, Sarah Gailey, Charles Stross, Nancy Kress, and many others. 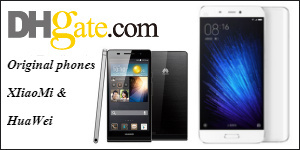 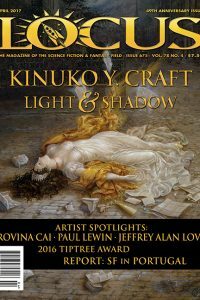 The April issue features an interview with Kinuko Y. 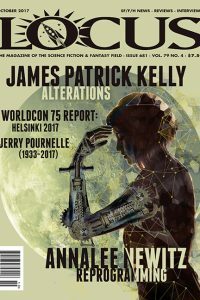 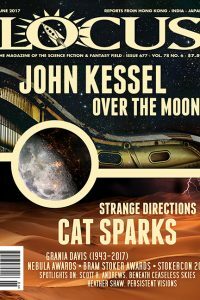 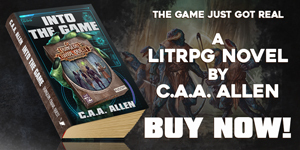 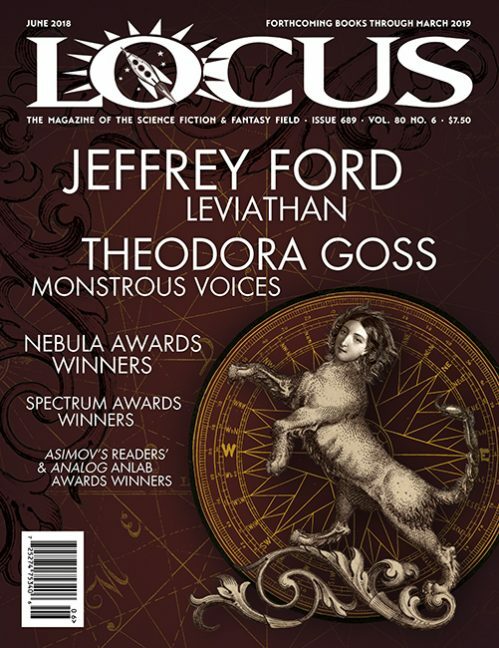 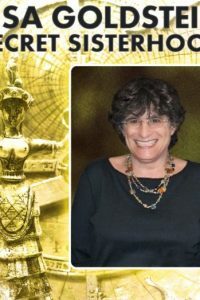 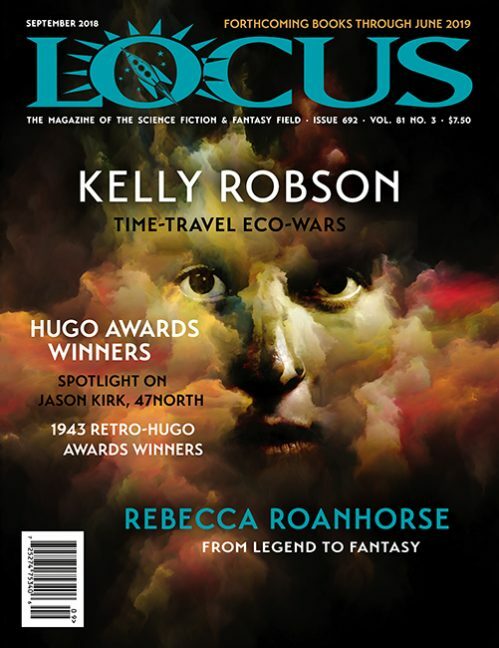 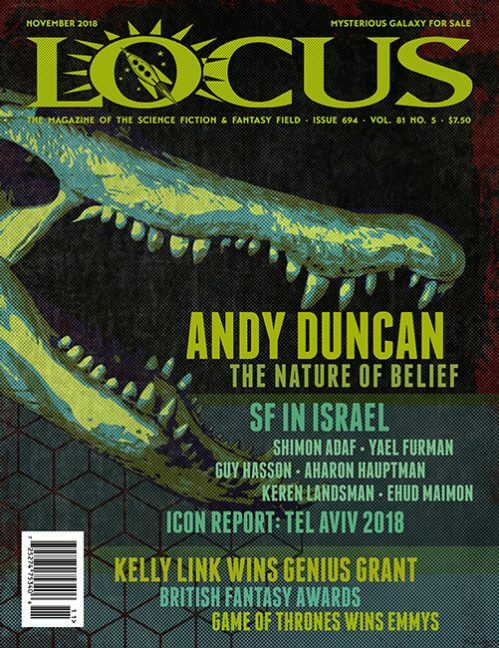 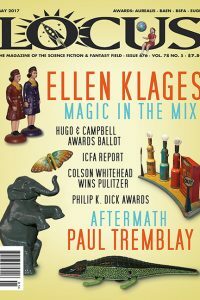 Craft and spotlights of artists Paul Lewin, Jeffrey Alan Love, and Rovina Cai, an obituary and appreciations for Susan Casper, a column by Kameron Hurley, a report on SF in Portugal, and reviews of short fiction and books by John Kessel, Brian Staveley, Robert Charles Wilson, Alex Wells, and many others. 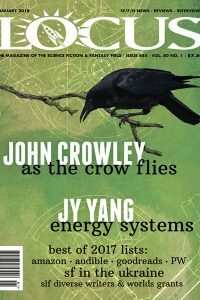 The March issue features interviews with Jane Yolen and John Joseph Adams, listings of forthcoming books through December 2017, a column by Cory Doctorow, an obituary with appreciations for Edward Bryant, and reviews of short fiction and books by Kim Stanley Robinson, Cory Doctorow, Silvia Moreno-Garcia, Lara Elena Donnelly, Henry Kuttner, Shaun Tan, and many others. 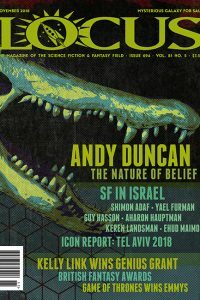 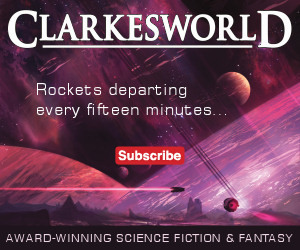 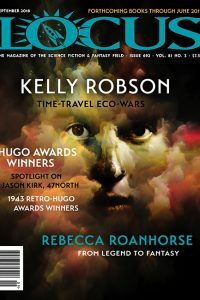 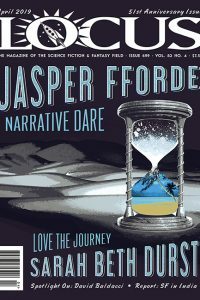 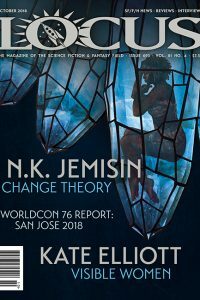 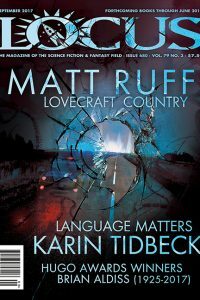 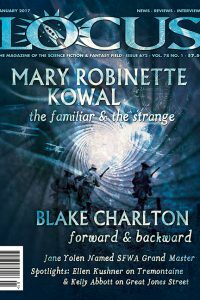 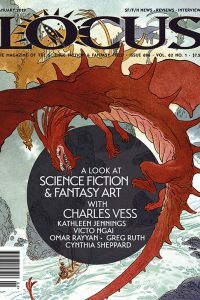 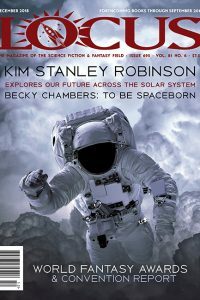 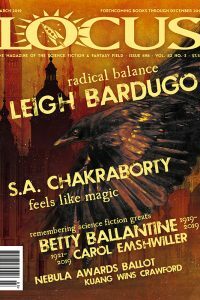 The January issue features interviews with Mary Robinette Kowal and Blake Charlton, a column by Cory Doctorow, spotlights on Ellen Kushner and Kelly Abbott, and reviews of short fiction and books by Colson Whitehead, Laure Eve, Ben Aaronovitch, Ellen Klages, Jonathan Strahan and many others. 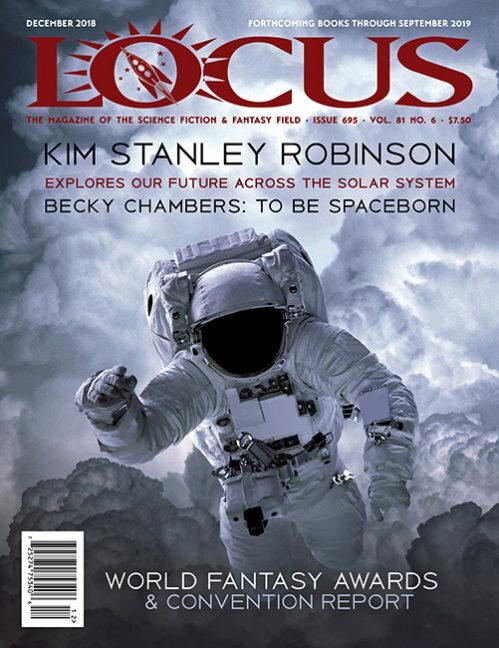 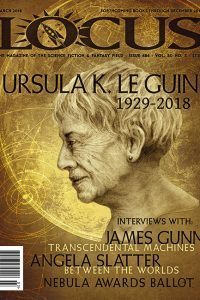 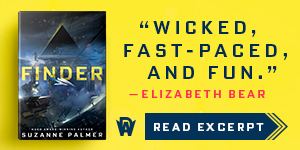 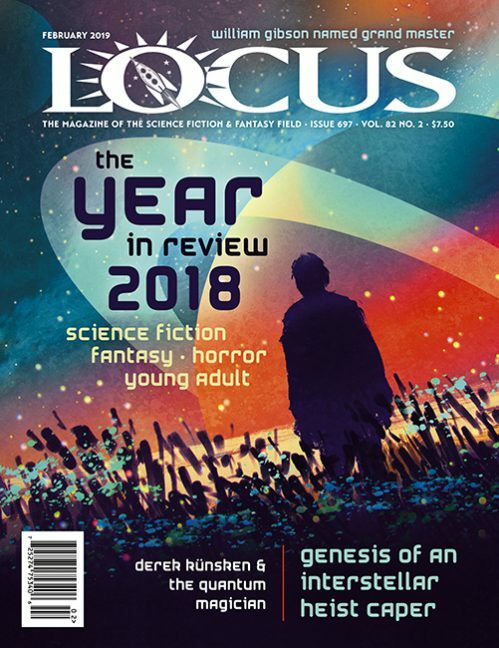 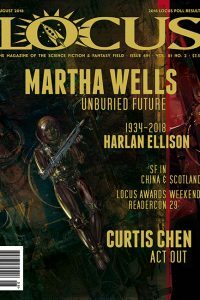 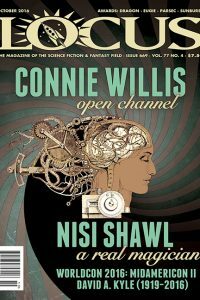 The October issue features interviews with Connie Willis and Nisi Shawl, a column by Kameron Hurley, an obituary of David A. Kyle, and reviews of short fiction and books by Connie Willis, Alvaro Zinos-Amaro, Chuck Wendig, Naomi Novik, Jennifer Mason-Black, and many others. 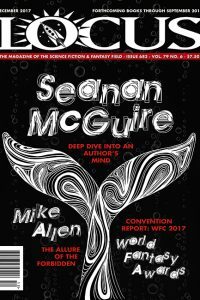 October 2016 • Issue 669 • Vol. 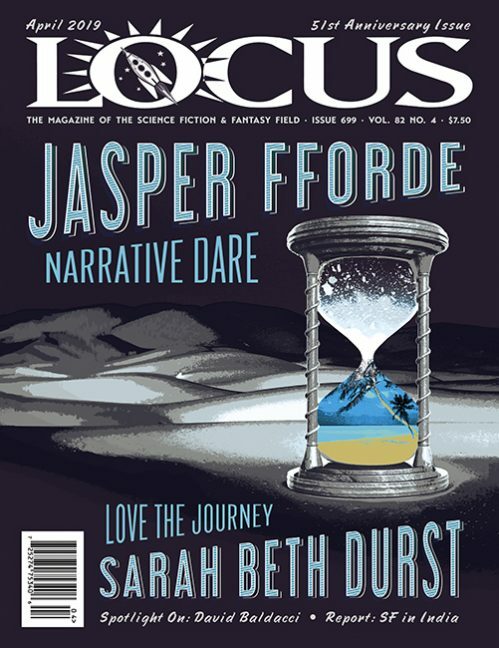 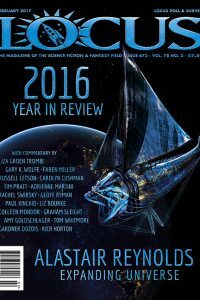 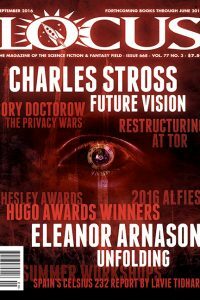 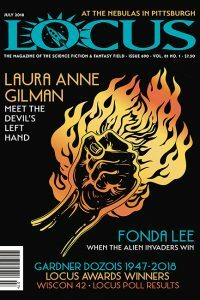 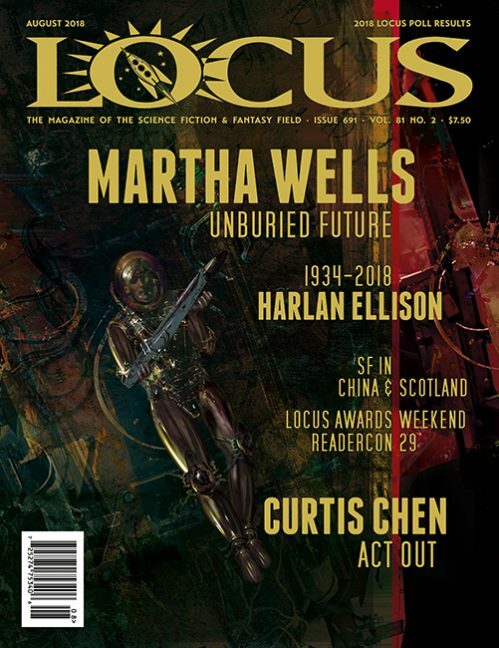 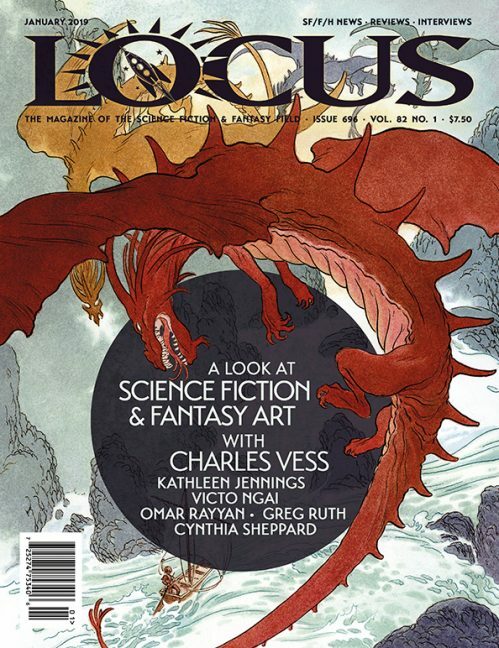 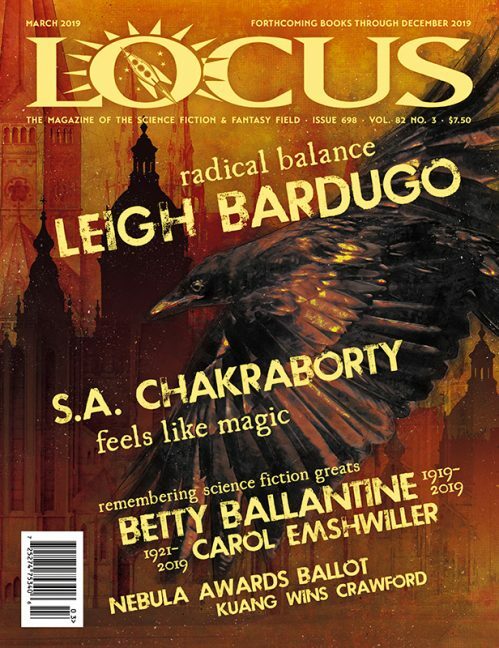 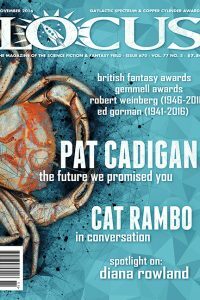 The September issue features interviews with Charles Stross and Eleanor Arnason, a column by Cory Doctorow, lists of forthcoming books through June 2017, and reviews of short fiction and books by Christopher Priest, Beth Cato, Paul Tremblay, Peter S. Beagle, and many others.